​"I have more self-confidence, and I'm not afraid or worried about trying new things and travelling out on my own"
My farm is a great place if you want to do different types of jobs and learn about sheep and deer farming. The main tasks of my job were shifting sheep and deer, drenching, wool-handling, weighing lambs and deer, velveting deer, feeding stock in winter, tractor driving (topping) and fencing. I have learnt very much about NZ farming and NZ culture, and my English is much better. Furthermore I have more self-confidence and I'm not afraid or worried about trying new things and travelling out on my own. I have also got different perspectives on what I have been doing before and what I will be doing in the future. I bought a car, and I joined the local Young Farmers, went to English-classes in Clydevale, and took part in the Clutha District Settlement Support Group. ​I visited most of the South Island (Fiordland, Kaikoura, Christchurch, Dunedin, West-Coast, etc). I really enjoyed being on the west-coast, even though the weather was terrible and the town (Franz Josef) was out of power for a few days. It was just a great experience with good friends. 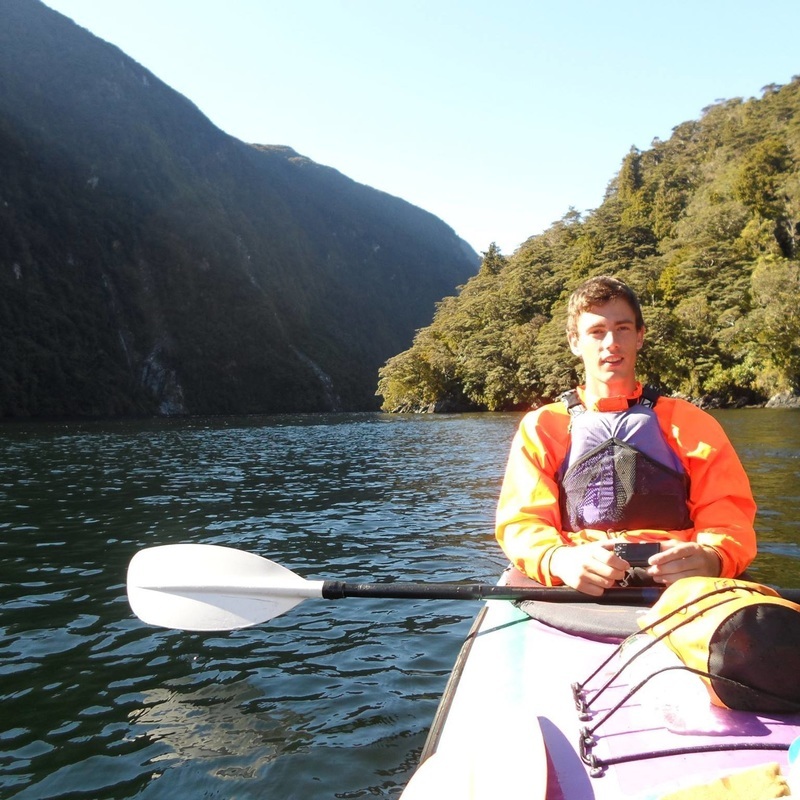 I had a great time Kayaking on Doubtful Sound with SeaKayak Fiordland. Fiordland is a must-see as well. I travelled through McKenzie land when the first snow arrived, and it was so beautiful. Furthermore I would recommend Skydiving in Queenstown on a sunny day and trekking in rainy Fiordland.